The Foam Roller-Full Round is a simple and effective tool used for balance and alignment. Developing core stabilization, stamina, and body awareness. I use my foam roller for rehabilitation purposes. I was encouraged to get it by my physical therapist who treats me for sciatica and other back & shoulder pain issues that I am having due to arthritis. Laying on it and rolling from side to side with my arms outstretched opens up my chest and stretches my shoulder muscles while delivering a kind of "massage" on both sides of my spine. I can usually feel my muscles beginning to relax and twitch after only a few moments of resting on it. Gym Quality. Sturdy Construction. Versatile. Good Grip. Rehab. Improving Core Strength. General Fitness. Sports Training. Self Myofascial Release. I am a massage therapist and rehab specialist. I utilize these rollers for all my clients, and myself and family. They are solid, without being too hard for beginning users. The price is absolutely the best out there and I am happy to promote this item, as well as where to buy it! I se this product for physical therapy exercises and for strengthening. A must for tight muscles! Versatile. Good Grip. Sturdy Construction. In addition to the uses shown on the instruction sheet, it is great for stretching, tension headache relief and relaxation of tight muscles in your core (back, hips, shoulders). I had use this for my physical therapy for my shoulder and it works like a charm. If the 6 inches is too big, they sell the 4 inch one which is smaller. 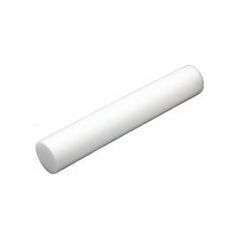 Is the 6" foam roller the white less dense one or the black hard one? Please do not put me on your e-mailing list. Can these be used in a pool for noodle exercise as well? What is the density of this foam roller . . . is it considered hard, medium, or soft? does this float? can it be used is a water exercise program? Does this float to use in pool for water exercise therapy?